With spring in full swing, at least according to the calendar, some of our fellow glam-mommies-to-be will be on the hunt for stylish pieces to rock during the warmer months. As a mother with a child that was born during the month of August, I know all to well what it feels like to dress a baby bump when the weather starts to heat up. 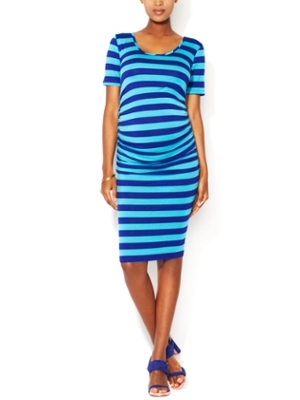 My fashion goal throughout my entire pregnancy was quite simple: remain as stylish and comfortable as possible. Ladies, I can proudly say, mission was definitely accomplished! With that in mind, today’s post is dedicated to those expectant mommies who are eager to dress themselves in some of the latest trends while still ensuring a level of comfort this spring and summer. The collection, known for its hip, stylish basics with an edgy twist has been worn by celebrities such as Gwyneth Paltrow, Kate Hudson and Jennifer Garner among others. 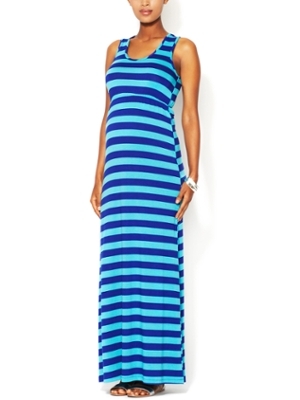 The line prides itself on offering great maternity styles while still providing a level of comfort. 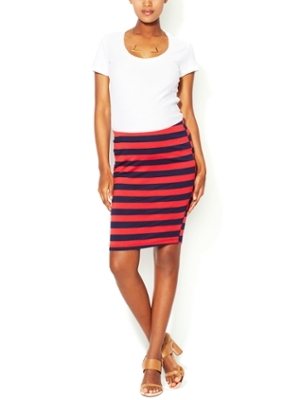 The line has some great striped pieces, including the super hot Julie Maxi Dress (On Sale for $59.00) and Taylor Tube Skirt (On Sale for $35.00). 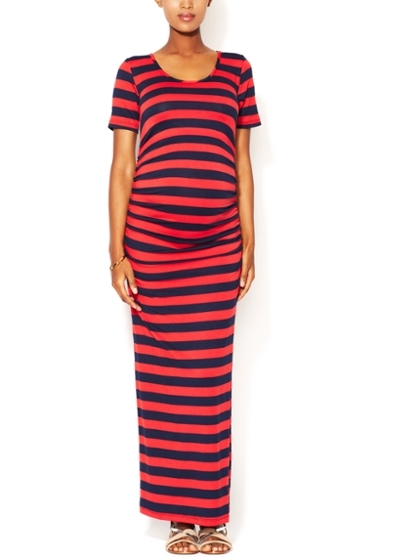 So, ladies, will you rock the striped maternity wear from NOM? 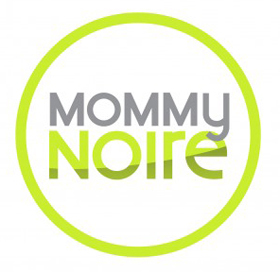 Cover Mommies: Tia & Tamera Grace May Issue of Ebony Magazine Mommy Dare: InstaB For Baby?